This tutorial will show you how to set up ExpressVPN on your Surface using L2TP. Note: L2TP-IPsec provides weak security benefits and should only be used for anonymization or for changing locations. 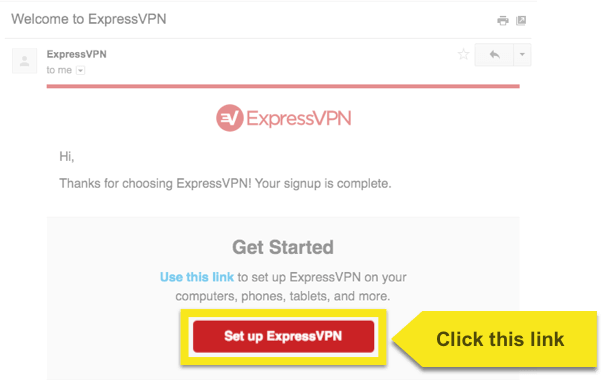 If you’re having problems retrieving your account details, you can contact the ExpressVPN Support Team for immediate assistance. To set up a VPN connection on your Surface RT, you will need a server address and your username and password. This section of the tutorial will show you how to find all of this information. 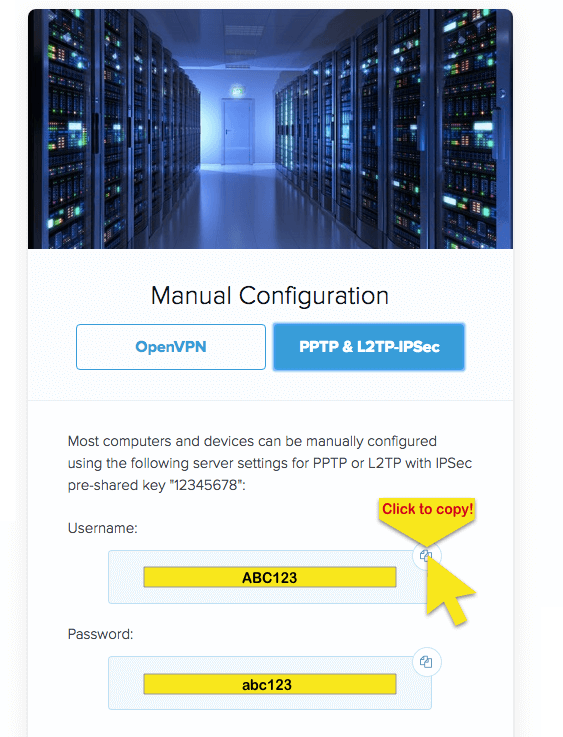 Click on Manual Config on the left side of the screen and then select PPTP & L2TP-IPsec tab on the right. This will show you your username, password, and a list of server addresses around the world. Please note this information as you will need it to set up your VPN connection. Click on Open Network and Sharing Center from the network icon on the task bar, or click on Network and Sharing center from Control Panel. Select Connect to a workplace and click Next. In the Internet Address field type the IP address or the server name of the server location you want to connect to. 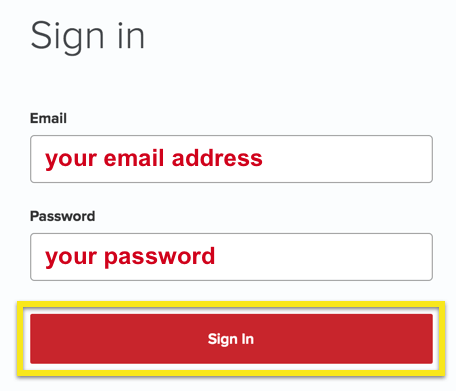 In the Destination name field type ExpressVPN (L2TP) (or any name of your choice) and then click Create. Click on the Network icon on the bottom right-hand corner of the screen, near your system clock. Tap on the name of the connection you created, and tap connect. Input your L2TP username and password then tap OK and it will connect to the VPN.